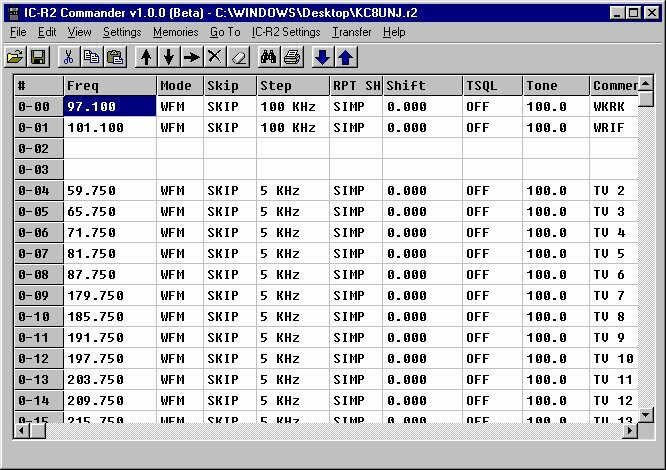 Programming software for the Icom IC-R2. Copy And Paste any selected range of data. 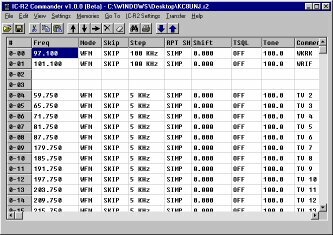 Mass editing of ranges of data (Mode, Skip, Step, etc) Through Right-Click Menu. Search for duplicates, auto-delete if desired.